Cilantro is a very fast growing herb which can be grown just about anywhere. It is a relative of the carrot family and is sometimes called Chinese parsley and Coriander. Cilantro actually is the leaves and stems of the Coriander plant. It has a very strong unique odor and is relied on heavily for Mexican, Asian, and Caribbean cuisine. Cilantro also resembles Parsley which is not surprising since the two are related. For thousands of years Cilantro has been around, first in Egypt, India, and China and then it was introduced to Mexico and Peru where it is still used with chilies when making masterful food dishes. It has since become very popular in certain parts of the United States as well. Today, Cilantro has lost its popularity in Europe as most Europeans are repulsed by the very smell of it. Cilantro is a Greek word that means “koris” which in English means bedbug oddly enough because it is said by many that Cilantro smells like a bedbug. The Chinese did not seem to mind because they add Cilantro to their various love potions because to them it symbolizes immortality and has aphrodisiac properties to it. Many also say that it is an appetite stimulant. Cilantro is very easy to find in pretty much any local grocery store or fruit market any time of the year. Cilantro has an interesting history to it and has showed up many times throughout history. Keep in mind that Cilantro is also in part Coriander, and some seeds were found in King Tut’s tomb. It is also mentioned in the Old Testament and was used by physicians dated back as far as Hippocrates. The Ancient Egyptians used Cilantro for such things as headaches and urinary tract infections. Cilantro can also mask the scent of rotting meat and it was used for that purpose quite frequently by earlier cultures. It would be fair to say that Cilantro is an herbal plant that has two identities since Cilantro is what the plant is referred to in its earliest stages and when it is fully developed it then becomes Coriander. Cilantro grows very quickly but also dies very quickly but it can easy grow in a pot on your windowsill. It is always best to harvest Cilantro before it bolts or blooms. 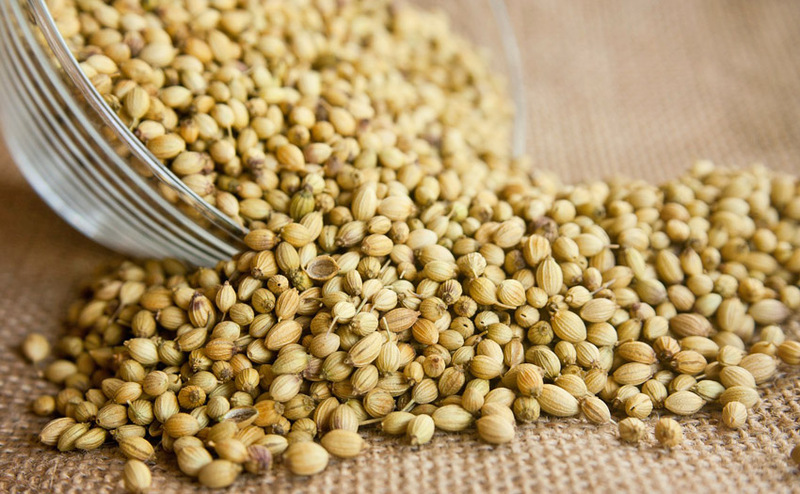 If you wait too long to harvest Cilantro what will happen is that you will be harvesting Coriander because it will then be all seed. Today, Cilantro can be found just about anywhere in the United States and is a garnish on almost every plate served in an upscale restaurant. The odd thing about Cilantro is that most people either love it or they hate it, usually there is no in between. Those who hate it claim that it has a soapy taste while those who love it claim that it is a strong taste that Cilantro delivers but they do enjoy it pungency. Cilantro is sold as fresh and if you find it in a dried form do not waste your time with it because drying it causes it to lose its entire flavor.